I'll be honest: sometimes I'll bring in the groceries, spend some time putting them away, and then forget to ever go back and lock the door. The August Smart Lock keeps those kinds of accidents from happening. The August Smart Lock installs on the interior side of your door, and works with your existing deadbolt lock and key. 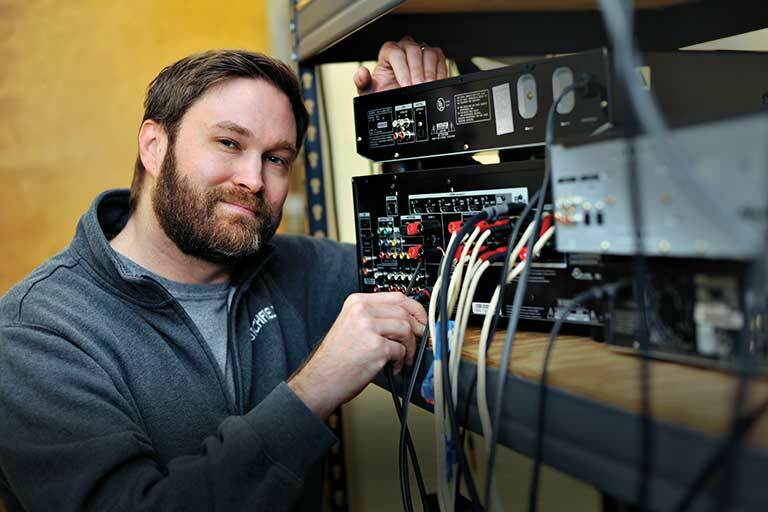 DoorSense™ technology makes sure the door is closed and locked every time you go in or out. It can also sense when you (or at least your smartphone) are approaching, and unlock the door so you don't have to fumble for a key. You can use your smartphone to lock and unlock the door manually whenever you're in Bluetooth range, too. The basic lock works with your smartphone via Bluetooth. If you want to control the lock even when you're at work or out of town on a business trip, all you need is the August Connect hub. The compact wireless bridge plugs into a standard wall outlet and provides additional connectivity and access from anywhere you have a data connection. No more "oops, I forgot to leave a key"
Does the babysitter or dog-walker need to get in while you're away? Instead of hiding a key under the doormat (or even worse, forgetting to leave one at all), use the free August app to generate one-time access codes. Or, create a scheduled window of time that they can come in. Using just their smartphone, they'll have secure access anytime you want them to, and no access when you don't. The smart lock replaces the manual knob on the interior side of your existing deadbolt, so you don't have to replace the whole thing. Installation is straightforward, and your original deadbolt thumb turn can be reinstalled anytime — ideal for renters or if you move. Best of all, there's no indication from the outside that anything has been changed on your door. Overview: The August Smart Lock (3rd generation technology) installs over your existing single-cylinder deadbolt lock and lets you lock and unlock your door with your smartphone. With Smart Lock, you no longer have to fumble for keys, as the Smart Lock unlocks the door as you approach and locks it as you leave (Auto-Unlock/Auto-Lock). You can grant temporary access to others ("virtual keys"), and use your smartphone to keep track of who comes and goes anytime of the day and night. Smart Lock replaces only the interior portion of your deadbolt, allowing you to continue using your traditional key whenever you want. You can also manually turn the deadbolt by hand from the inside if you don't want to use your phone. Smart Lock is powered by 4 pre-installed "AA" batteries (included). Compatibility: August Smart Lock is compatible with standard single-cylinder deadbolt locks that are mounted and operate independently of the door handle. It does not work with mortise, rim cylinder, or interconnected locks. Click here for the August Deadbolt Compatibility List. To install the Smart Lock, you will need to remove the interior portion of the deadbolt, and replace it with the Smart Lock unit. 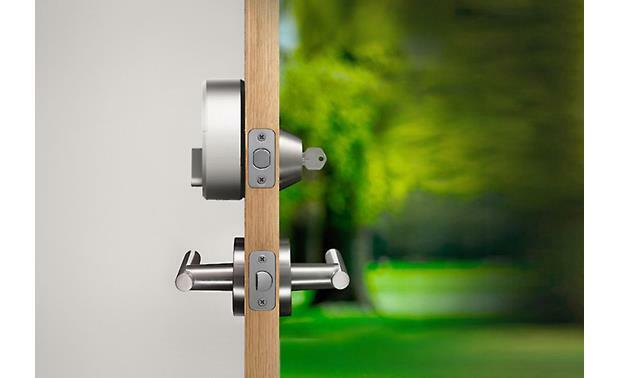 Three adapters are included to fit most deadbolts to the SmartLock mechanism. Installation requires a standard Phillips screwdriver, and typically takes less than 15 minutes. Smartphone Integration: The August Smart Lock interacts with your smartphone or tablet via Bluetooth (v4.0) and the August Home app. The app must be loaded to the phone of all users, including guests. As long as your smartphone is range, you can lock or unlock the door from the app. Each time the door is locked or unlocked by a user via the app, a notification is sent to selected users, and the event is logged to the app. The August Home app is compatible with iPhones running iOS 9.0 or later, and with Android devices with Bluetooth 4.0 and running Android 5.0 and up. 2 Factor Authentication: To keep your August Smart Lock and account secure, August uses 2 Factor Authentication in order to access the app. When signing up, you will need to validate both your email and phone number, and a token is stored on your account and device. If you try to sign in on a new device, you will have to authenticate your account using both your password and with a code sent to either your email or phone number. DoorSense: Included with the Smart Lock is the DoorSense module, which can sense whether or not your door is open or closed. 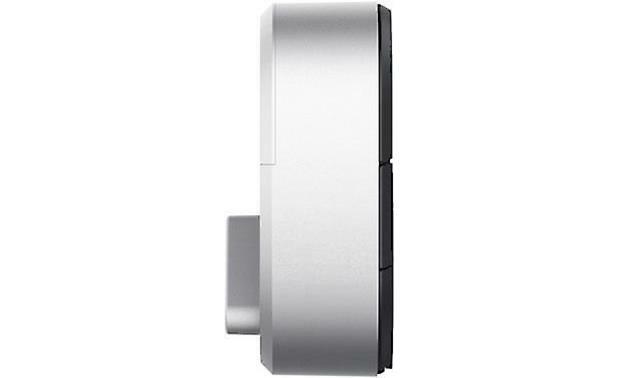 A magnet in the DoorSense module interacts with the SmartLock when the door is closed. You can view the condition of the door (open or closed, locked or unlocked) on the August Home app. DoorSense can be surface-mounted or flush-mounted next to your deadbolt, and requires only a screwdriver to install. (Flush mounting also requires drilling a 5/8" hole in the door frame.) You will need to calibrate the Smart Lock after installation to insure the functionality of DoorSense. Smart Keypad: The August Smart Keypad is an accessory for the August Smart Lock. 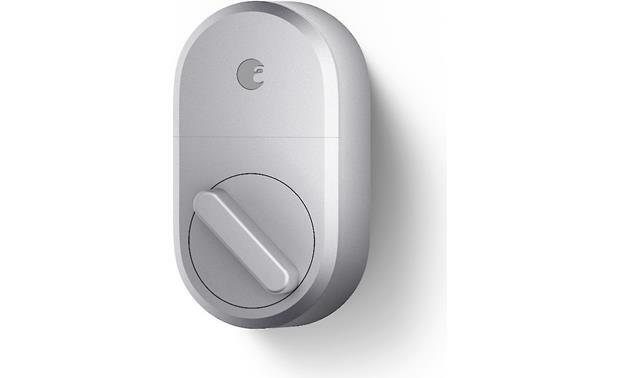 It attaches to the wall outside your home, and allows you operate the Smart Lock without a smartphone. Unique codes can be generated for each individual, including guests or service personnel. The unique codes tie your guest's name to each entry so you can keep track of who comes and goes. The Smart Lock and Smart Keypad can create a 24/7 log of who entered your home and when. August Connect: The August Connect is an accessory for the August Smart Lock, and uses your home's Wi-Fi network (802.11b/g/n, 2.4GHz) and Internet connection to control the Smart Lock from anywhere using the August app. Connect plugs into a standard AC outlet, and should be installed within 15 feet of the Smart Lock for optimal performance and reliability. When Smart Lock is used with August Connect, you can operate the door lock using voice commands with Alexa and the Google Assistant. August Lock Users: There are several levels of users of the August Home app. The Home Owner is the individual who originally set up the lock and has access to all of the settings and can invite (and delete) guests. A Lock Owner has all of the same access to the settings and guest lists. A Guest can lock and unlock the Smart Lock at any time, but cannot change settings or invite other guests. Access types for Guests include: Always, Recurring, and Temporary. The account of each Owner or Guest can be set up whether or not to trigger notifications when that specific user operates the lock. Searches related to the August Smart Lock, 3rd Generation Smart lock for keyless home entry.